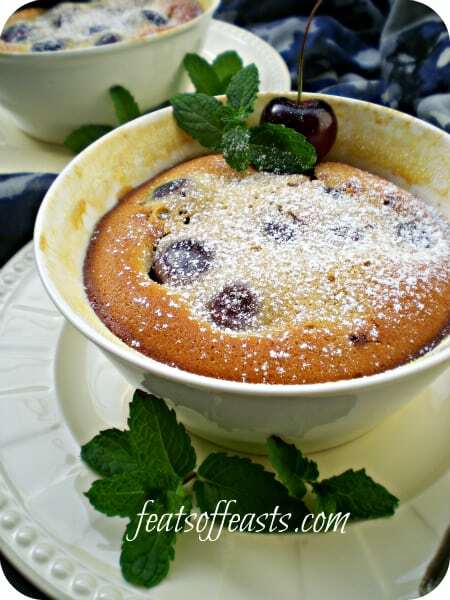 Cherry Clafoutis and Pregger Updates…. I know I haven’t been posting a recipe for a while now, the last week was more about maintainance work to the blog. First, starting with the construction of the new recipe index and also cleaning up some of the blog features, taking away stuff that’s useless and redundant and putting in new features that’s more convenient for your browsing. Hubster has been helping me a lot with this so thank you hubster! Okay, updates….I am about 22 weeks into my pregnancy now. I’m eating all the time even if I don’t feel that hungry, like every two hours. Bub in the oven is rather consistent with her timing. She’ll kick vigorously when meal times are near. Oh, BTW…it’s a girl. 🙂 I found that this time around, it feels more heavy than the last time. I don’t know why….I didn’t show any obvious bump with the first one till I was 6 months but for bubs no.2, it was rather quick and ‘sudden’. Although some might argue that it’s not that big of a bump for a 2nd tri….it certainly feels that way. Tea times are a must now, though prior to being preggers….I would not eat anything in the evening for fear I would spoil my dinner. Jusco was selling cherries for a rather reasonable price last few days, I won’t say they’re cheap as chips but reasonable. 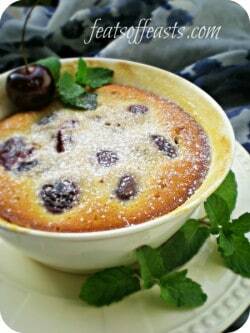 So for tea yesterday, I made a cherry clafoutis. I’ve seen other fruits go into clafoutis like raspberries, blueberries and all the other berries but I have cherries. Some might argue that it is better to leave the cherry stones in when baking so the flavour would be more aromatic. I hate the thought of picking out pips through my clafoutis when I’m eating it. 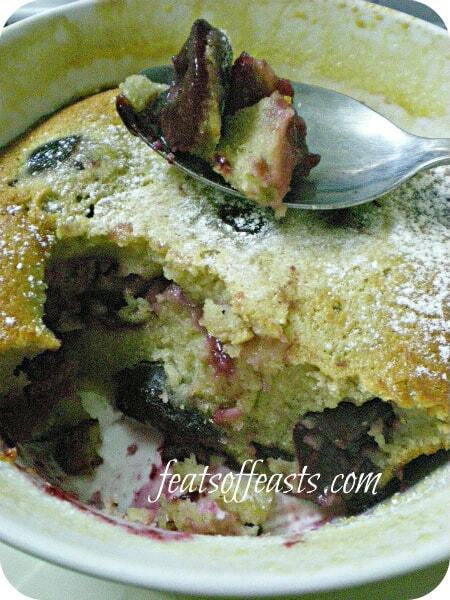 Clafoutis is basically fruits baked covered in this thickish-pancake-like batter. When I was mixing the dry ingredients for this dish, I mistakenly used nutmeg instead of cinnamon. No wonder it smelt kinda strong and so not Christmasy. *sigh….I was hoping this absent-mindedness thing that comes with being preggers would not occur this time round. My first pregnancy, my sense of space was totally off-balance. I kept bumping into corners and bashing my pinkie toe on sharp sides. Yes, to all husbands out there….this happens when you’re pregnant, stop criticizing women for being clumsy. You don’t know what it’s like carrying a sack of rice in front of you for 9 months. Excuse the bad lighting, indoor shoot…. Back to the clafoutis, it smelt gorgeous in the oven and though I didn’t intend too because when I ate the clafoutis it was past 6pm, I finished the whole bowl. Ooops…and then had dinner again round 8.30pm. I was suprised I could still eat or even move after that. I won’t say the taste was uber fantastic…but it was a nice tea-dessert. Prep your cherries and remove the stone in the middle. Mix all your batter ingredients together and let it sit for at least 15 mins. Butter your bowls or ramekins and dust it with fine sugar. Shake off the excess. 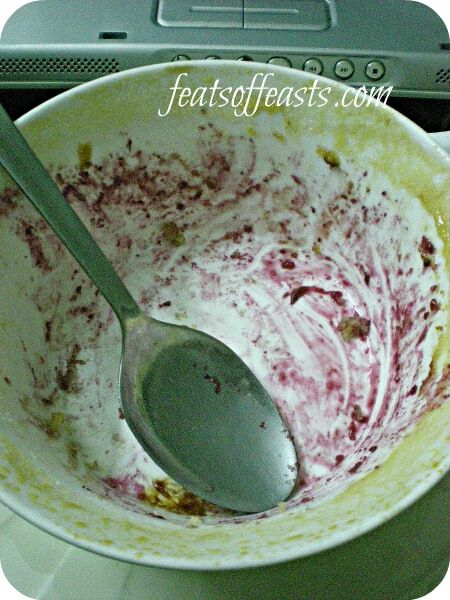 Fill a layer of your halved, pitted cherries cut-side down at the bottom of the baking bowl. Pour the batter over the cherries. Shake it a little to let the batter sip into the nooks and crannies. Place more cherries on top, again, cut-side down and let them sink naturally (but by right, they wouldn’t sink as deep). 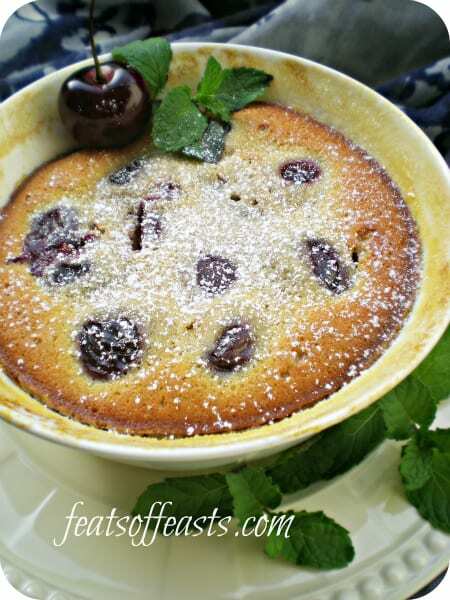 Place the clafoutis on a tray and bake in the oven for 30 to 45 mins or till the top has browned slightly. Judging by the picture, I probably baked it a tad too long but I love the crust on top. Let it cool slightly before eating. Dust some icing sugar on top. Eat plain or with cold ice cream. « A new Recipe Index! I too ate every few hours, tea and supper is a must, luckily my portions were still the usual amount. Congrats.. now you have a pair!